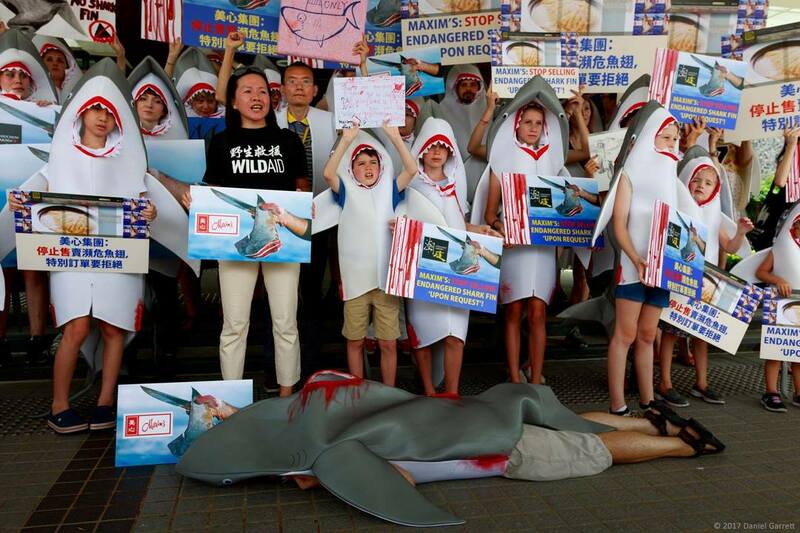 Dozens of activists Saturday dressed in bloody costumes sprawled outside one of Hong Kong’s most popular restaurants linked to the sale of shark fin soup to protest against the killing of the marine predators. 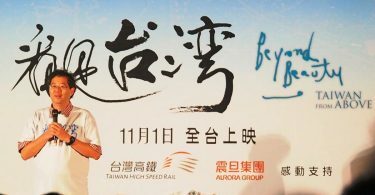 The southern Chinese city is one of the world’s biggest markets for shark fin, which is viewed by many Asians as a delicacy, often served as a soup at expensive Chinese banquets. 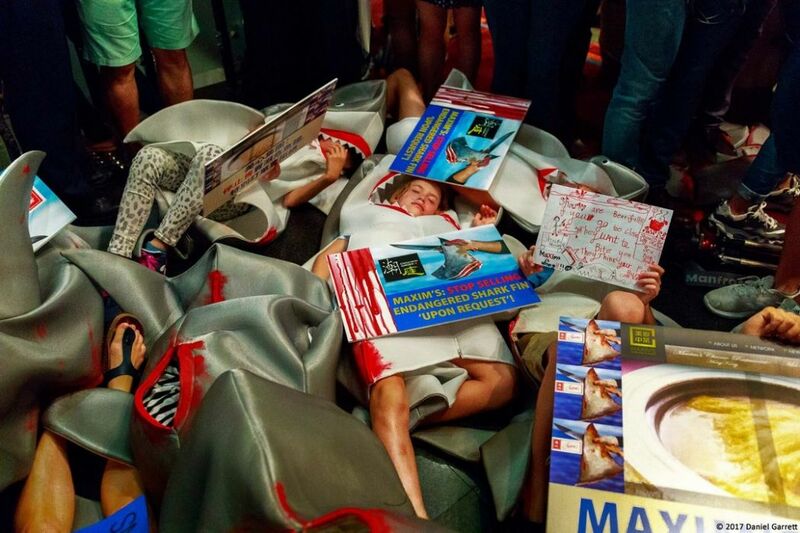 Saturday’s demonstration included about 30 protesters wearing finless shark costumes splattered with red paint, chanting “when the buying stops, the killing can too”. 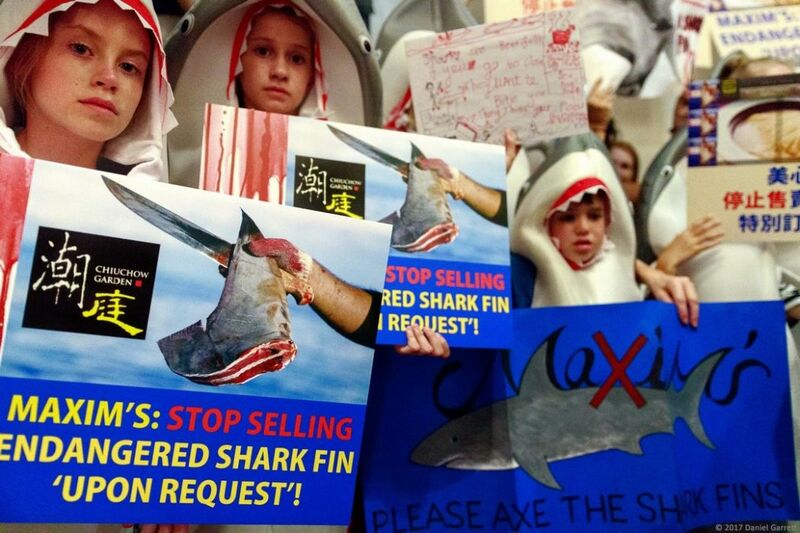 The activists, many of whom were children, said they came out to stop the “cruel” practice. 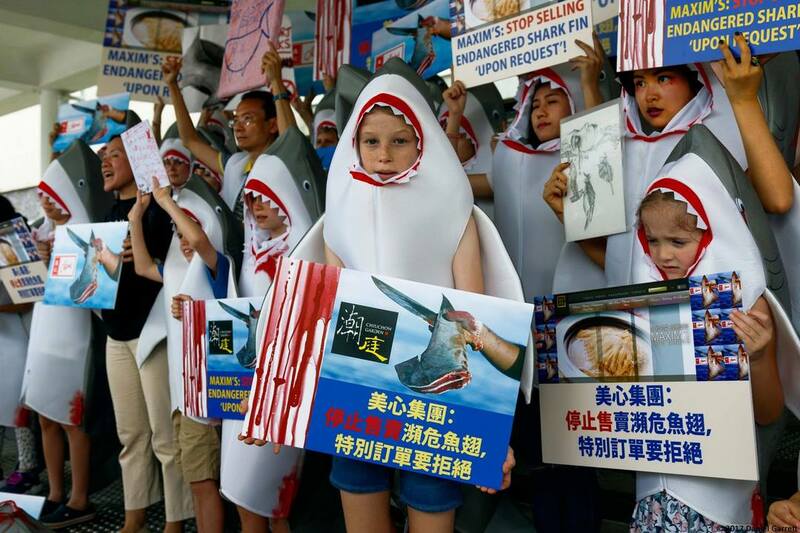 “Shark finning is a very cruel thing that lots of people do, and we’re trying to stop a chain of restaurants from selling it,” 11-year-old Narnie Hockings told AFP before donning her shark suit. 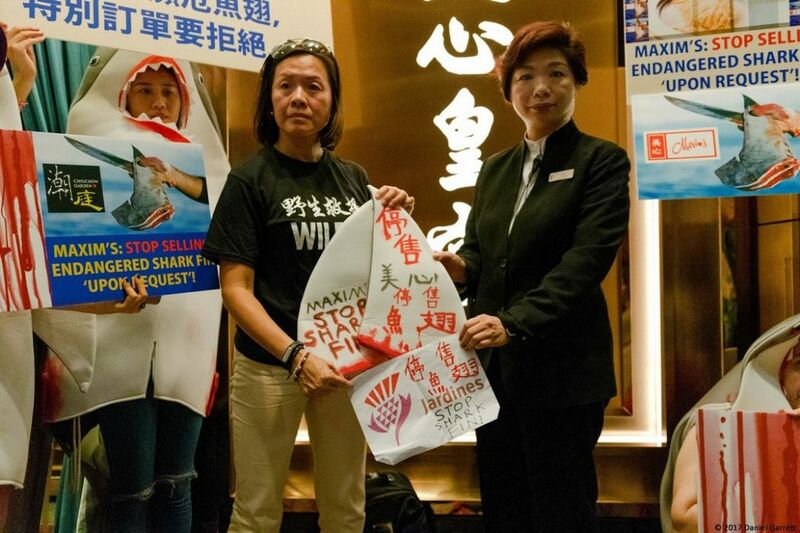 The demonstrators also dumped a large bag of fake shark fins, cut from their costumes, next to where people were waiting to enter the Maxim’s Palace restaurant for lunch, before flopping down on the floor in protest. 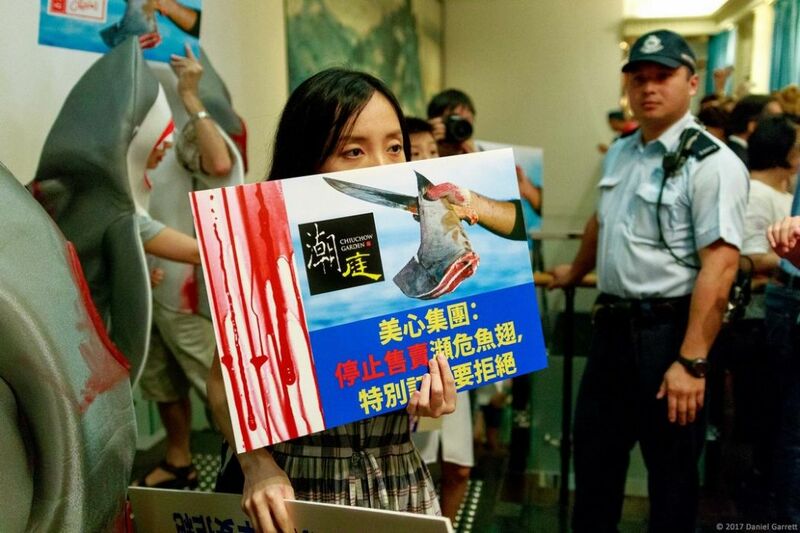 “The display is to show people how bad it is and what people do in real life because I don’t think people know that they actually chuck the bodies back into the water,” Meara Johnson, 12, who’s favourite animal is the shark, said. “When I found out that they were going to be endangered soon, I thought we should do something,” Johnson added. 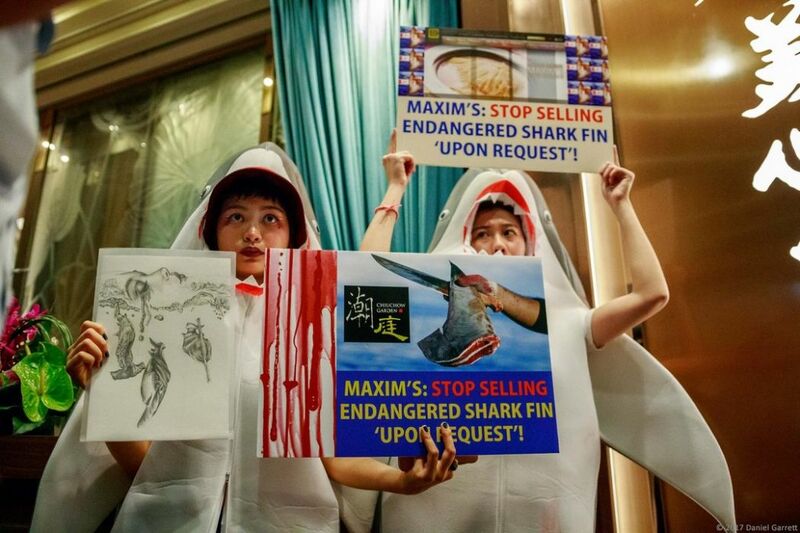 Maxim’s in response said they only source fins from a species classified as low risk and that it has seen consumption of the predator drop significantly at their restaurants since it started to promote shark-free menus in 2010. More than 70 million sharks are killed every year, according to the World Wildlife Foundation. 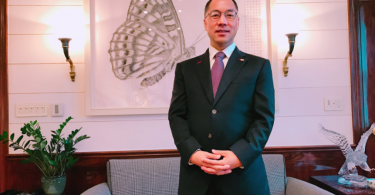 Huge quantities are exported annually to Hong Kong, and most of those fins are then sent on to mainland China. 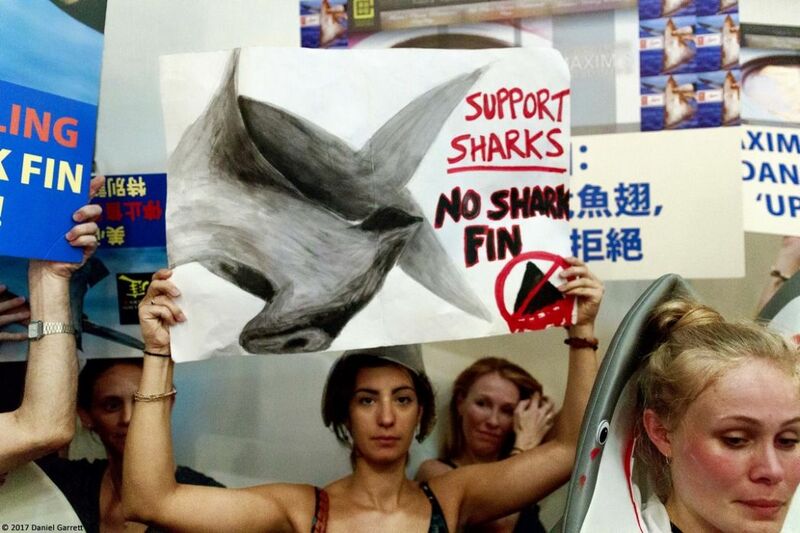 Hong Kong’s government in 2013 said it would stop serving shark fin at official functions as “a good example”, following years of lobbying by conservation groups.